Why use antiseptic and hygiene products? Antiseptic and hygiene products contain specific ingredients to kill and/or help prevent the growth of germs. Washing your hands with a hygiene soap helps remove 99.9% of the germs on your hands. Antiseptic and hygiene products kill and/or help prevent germs that cause skin infections, getting sick from food or intestinal illnesses. The effectiveness of antiseptic and hygiene products depends on the ingredients, the formulation and for how long it is in contact with the skin. It is also important to follow the instructions on how to use these products. An antiseptic is used on skin to limit or prevent infection, ideally without harming your skin. Disinfectants are formulated to kill all germs and sterilise the surface it is applied to. They are often too harsh for skin and can end up damaging your skin in the process of disinfecting it. They are more suitable for disinfecting surfaces like floors and counter tops. 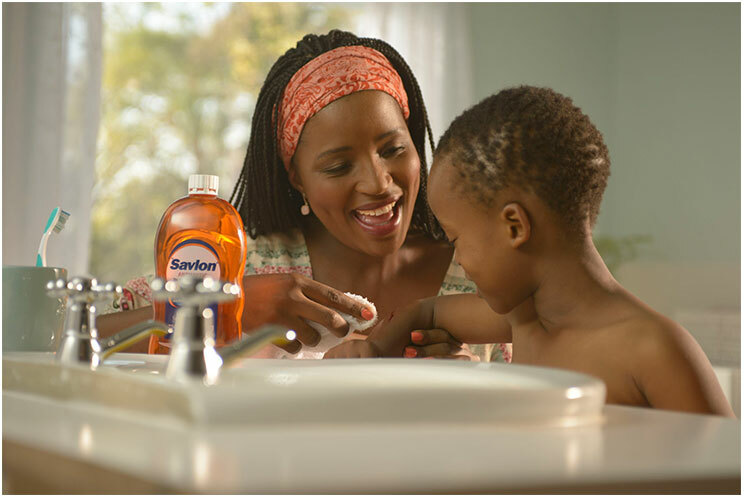 Savlon’s caring hygiene offerings helps protect and care for you and those that mean the world to you. Taking care of your skin is important. Washing it daily can help prevent disease and infection. Your skin is the first layer of defence against germs. But washing it with harsh alcohol based products on a daily basis can damage your skin too. Skin, like your heart, lungs and brain is an organ and needs to be treated with the same amount of care so that it can take care of you. Drink lots of water. Water helps your skin produce all the oils that protect it. Eat healthy food so that your skin can get all the vitamins it needs to stay strong and healthy.